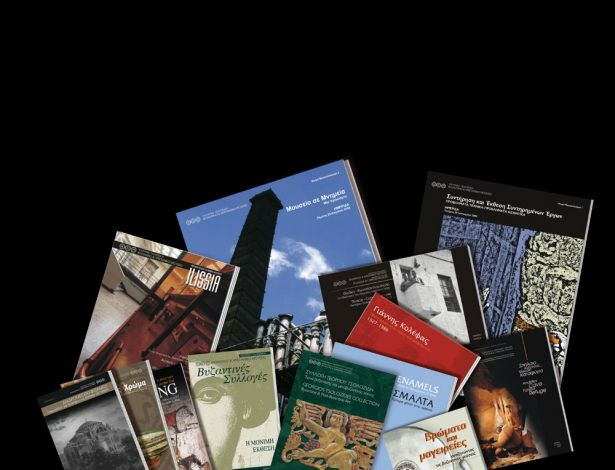 The BCM has been active in the publishing sphere since the 1990s, producing printed material to cover the needs of its temporary exhibitions, educational programmes and other cultural activities (including European programmes). Until 2003, content was prepared in-house by the Museum’s academic staff, while pagination and publishing were outsourced. This changed in 2003, when the increased publishing demands arising from the upcoming re-exhibition of the Museum’s permanent Byzantine collections prompted the creation of an in-house Publications Office staffed by specialist historians and archaeologists with considerable experience in the field of academic publications, as well as by professional graphic artists. Since late 2004, all of the Museum’s publications have been prepared exclusively – bar the actual printing – by the Publications Office. The move to fully in-house publishing has led to a decrease both in cost – through increased economies of scale – and in the time required to prepare a publication. In-house production has also meant higher-quality publications which mirror more accurately the aesthetic and academic choices of their authors and editors.